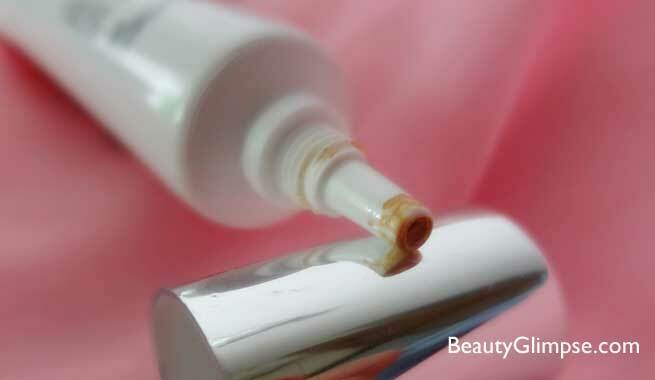 BB cream is also known as Blemish balm. It’s more like a tinted moisturizer with active ingredients. The boom of BB creams in market a few months ago is well known to everyone. 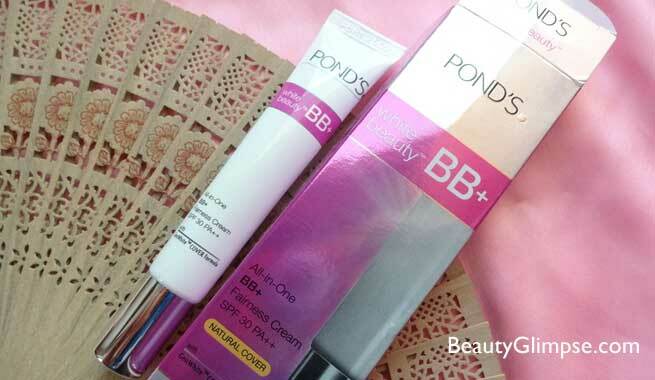 Ponds – one of the trusted brands in India came up with its own BB cream and today I will be reviewing the same. The first of its kind innovative beauty solutions from the Pond’s white beauty portfolio combines the dual benefit of instant coverage of spots as well as lightening skin within to help reveal perfect natural look. This cream comes in a very feminine and sleek tube. The pink and white cover and the silver metallic cap surely do give it a very chic look. At the given price packaging is pretty well done. The cap is twist to open and the dispenser is like a nozzle. This makes the application easy. I usually apply it in dots all over my face and then blend it nicely. The staying power of the cream is pretty amazing. It stays out on me for about 5-6 hours in AC environment. Outside it tends to get oily and you need to blot it once in a couple of hours. It provides a medium coverage and a matte finish. It’s not meant to be used as a concealer but people with little imperfections can cover the spots with this one very well. It also contains SPF which makes it use under the sun as well though I am not counting on it much. Overall at this price it’s a really good cream and one should really give it a try. Plus I like the glow it gives to the overall face. Cannot be used without a moisturizer for dry skinned people.